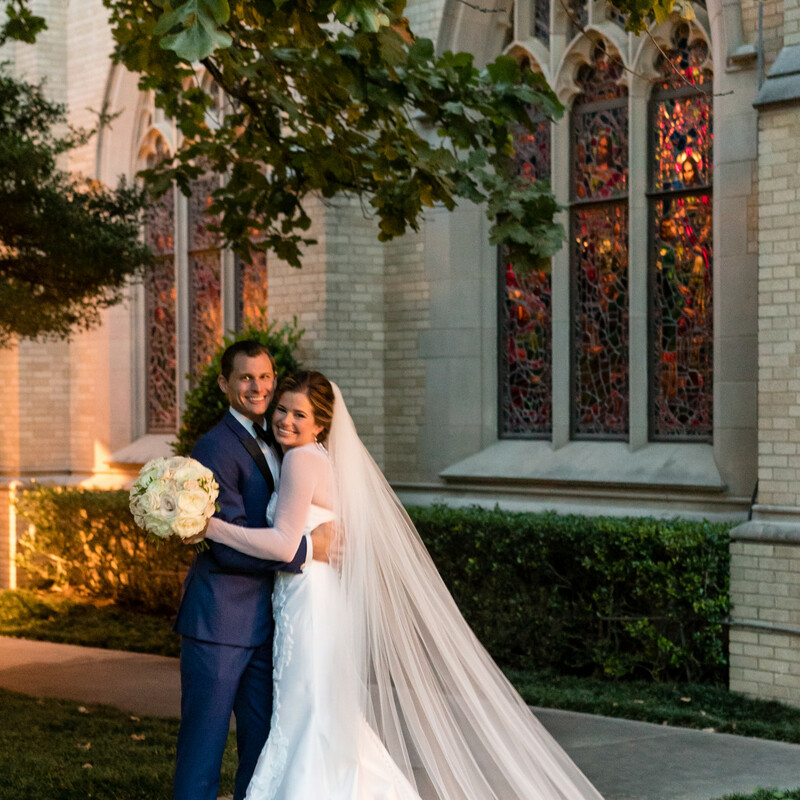 For the last few months, CultureMap has spotlighted fabulous real weddings of couples recently wed around Dallas. 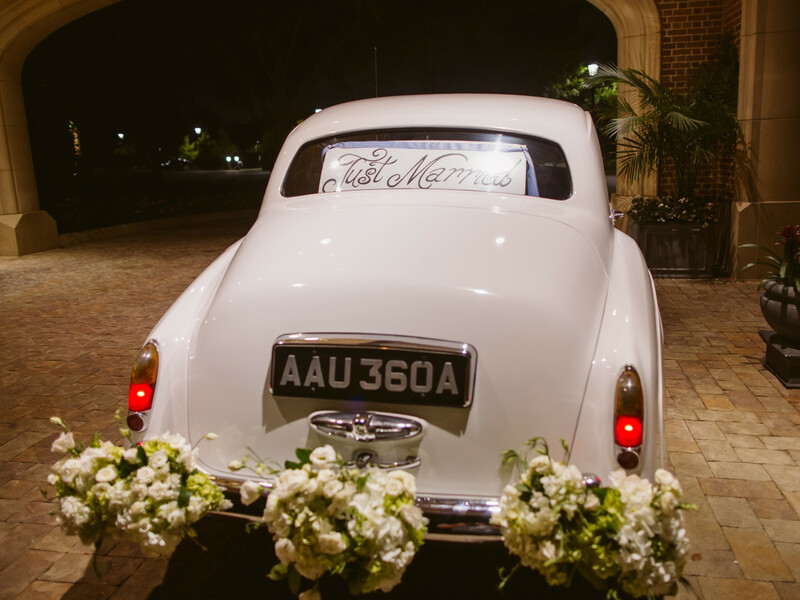 And each and every celebration has featured details we've swooned over, from sentimental decor to stunning exits. The most memorable ones have incorporated personal touches unique to each couple, making them truly one-of-a-kind affairs. Here are 10 inspired ideas to take away from some of our favorite weddings of 2018. A wedding photographer herself, this bride had seen it all. So when the time came to plan her own nuptials, she had a clear idea of what she wanted. Central to executing her vision was finding a idyllic setting outside of town. 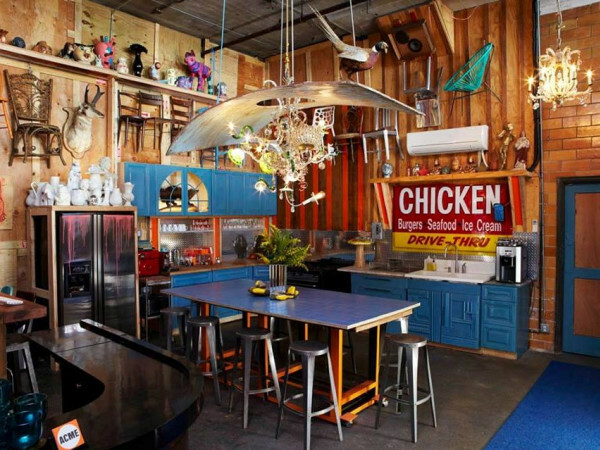 The White Sparrow, a dreamy white barn in Quinlan, just east of Dallas, fit the bill. The quaint space provided the perfect backdrop to the modern-yet-timeless aesthetic she envisioned. This bride and groom wanted to nod to their respective Lebanese and Assyrian heritages, while creating the feeling of stepping inside a Mediterranean villa. 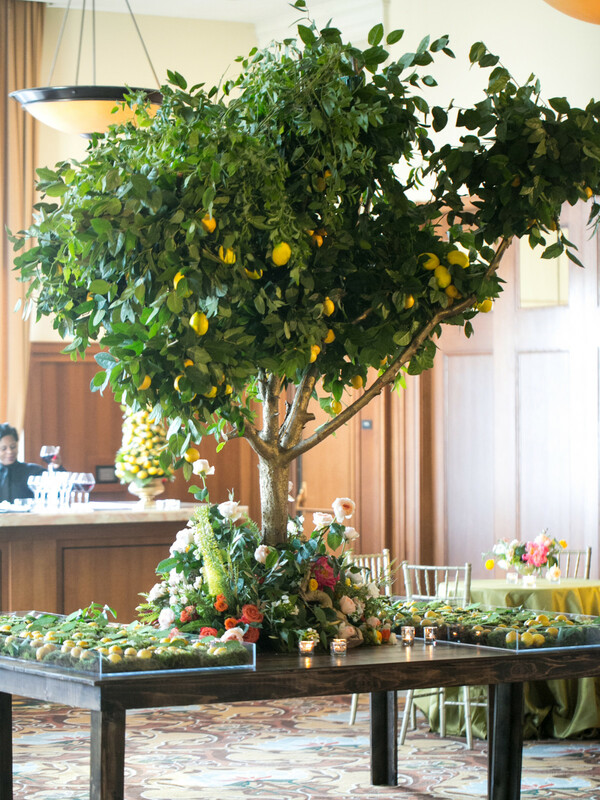 To oblige, their designer incorporated fresh herbs and citrus throughout the event space. 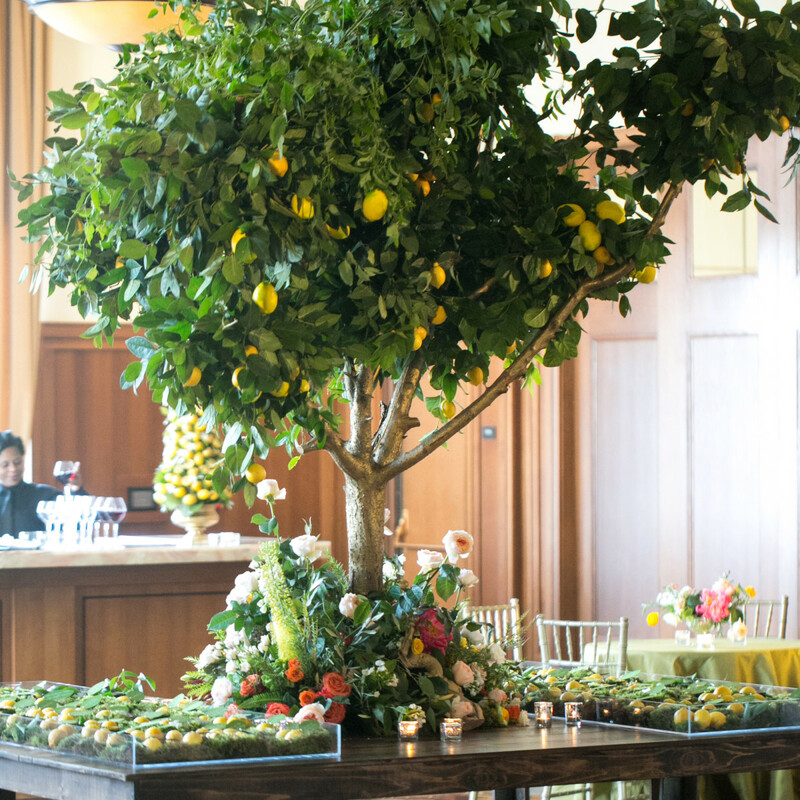 Lemons were featured heavily in decor, adding a lively touch while simultaneously scenting the space. Cascading floral arrangements completed the scene. 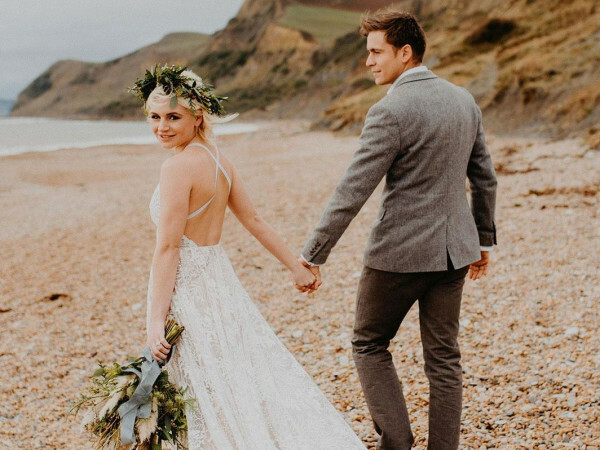 There was much to love about this couple's fall wedding, but one of the most memorable details was the bride's beautiful gown. Designed by Romona Keveza, the form-fitting silhouette featured sheer sleeves perfect for the couple's formal church ceremony. 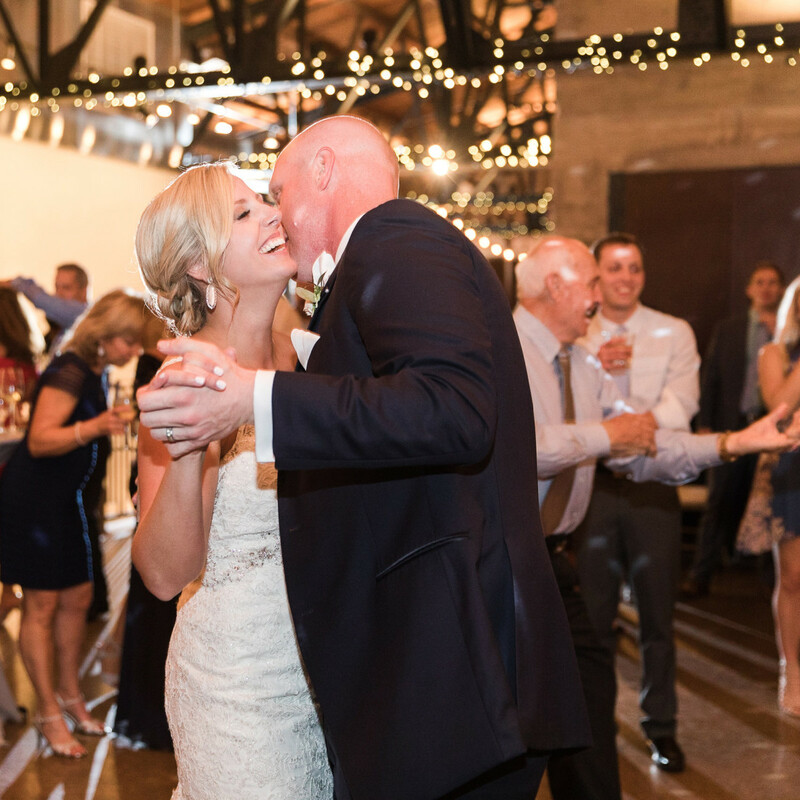 When it came time for the reception at the Dallas Museum of Art, the sleeves came off and the bride hit the dance floor uninhibited. 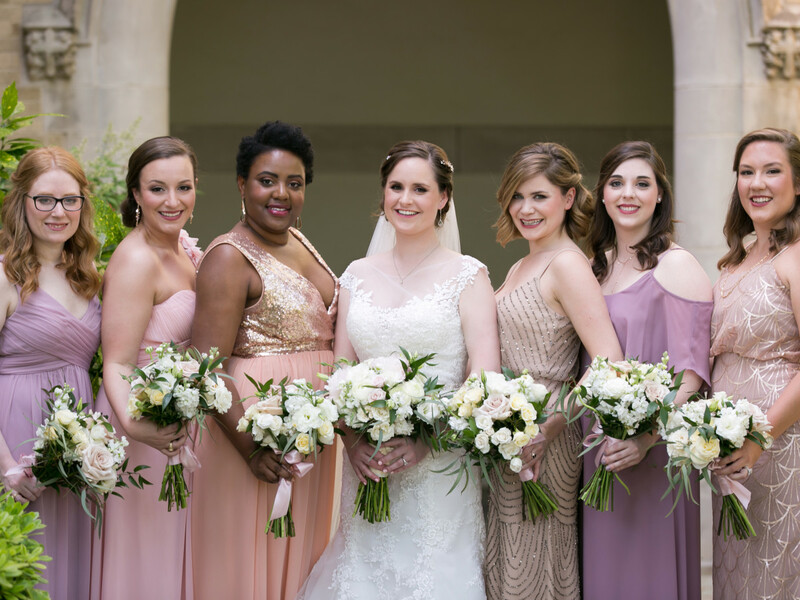 Mix-and-match bridesmaid dresses are nothing new, but this bride's laid-back attitude on wedding party attire was especially refreshing. Bridesmaids practically had free reign. They were encouraged to pick dresses in shades of pink or gold, choosing silhouettes they felt comfortable in. This relaxed attitude applied to every other aspect of the event, which included a fun reception at the George W. Bush Presidential Center. The bride says she was simply interested in marrying her sweetheart. The fastest way to make wedding guests smile? 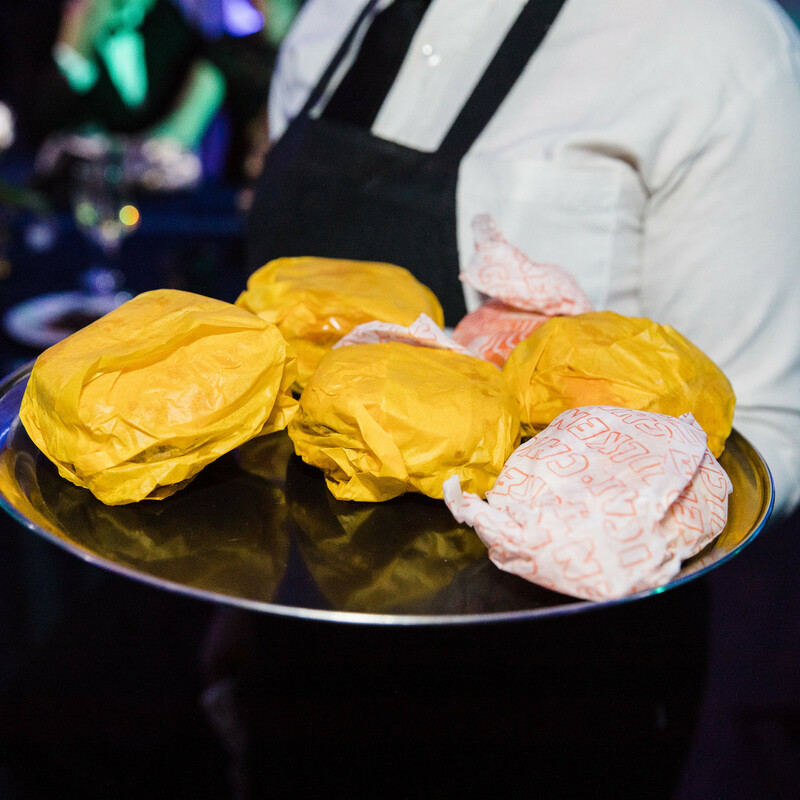 Serve up midnight munchies. 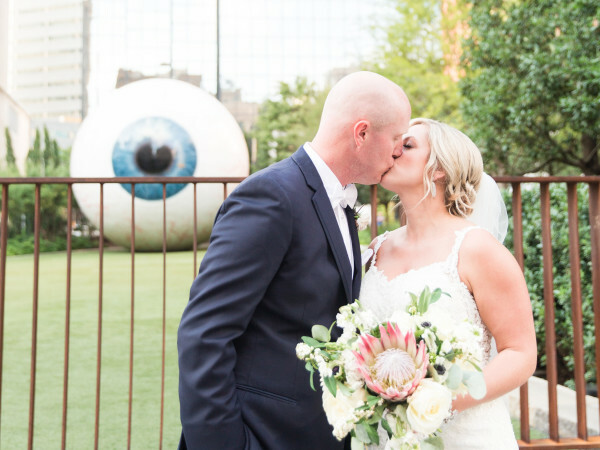 Boasting a live band, stunning floral arrangements, and even a live painter, this couple's downtown Dallas wedding was every bit the chic affair. 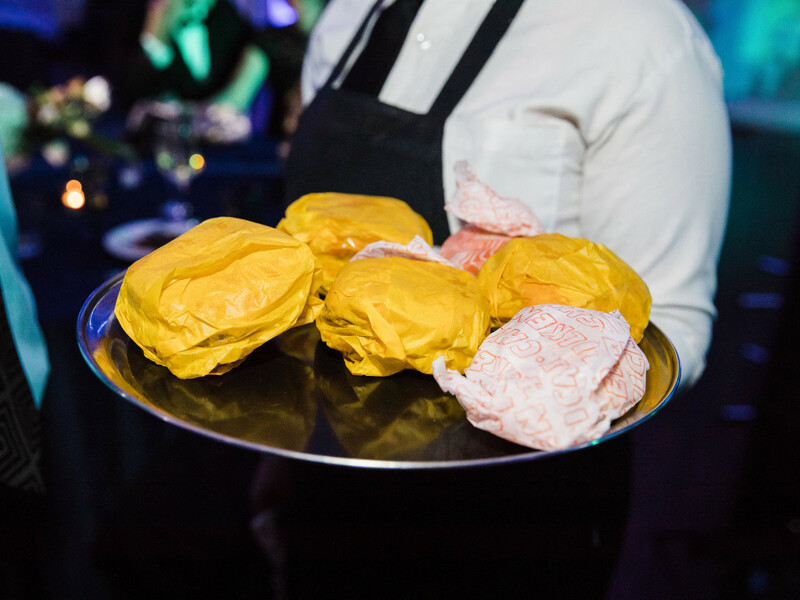 Still, the highlight for many guests was the thoughtful gift of a Texas classic: Whataburger Honey Butter Chicken Biscuits served up on silver platters following a long night of dancing. 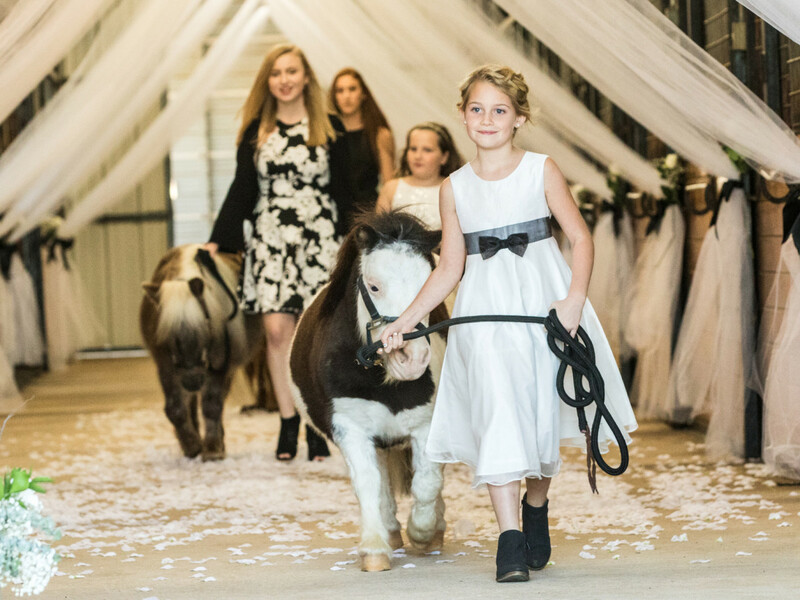 When your family has a farm and your entire life has been spent around horses, it's practically a given that those furry friends will get a starring role in your wedding. 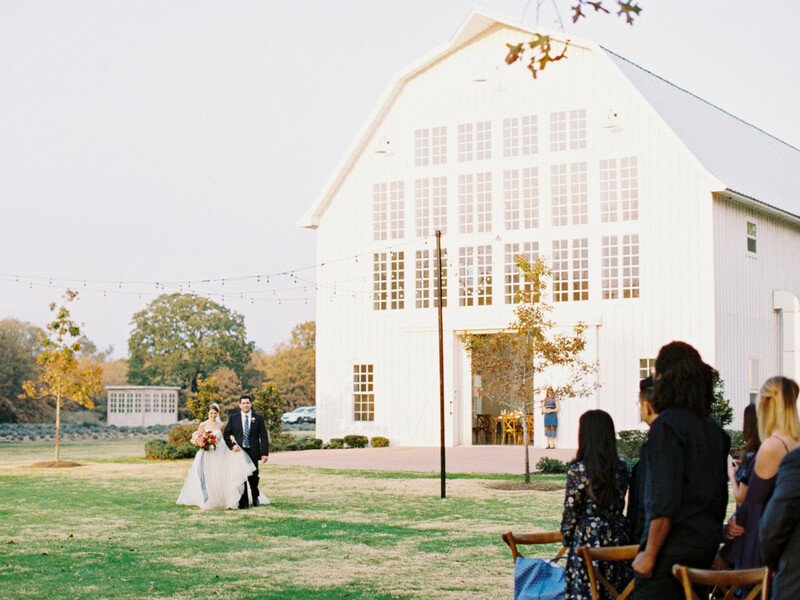 Not only did this couple host their nuptials at the bride's family farm, but her precious horses lined the barn the couple was married outside of. 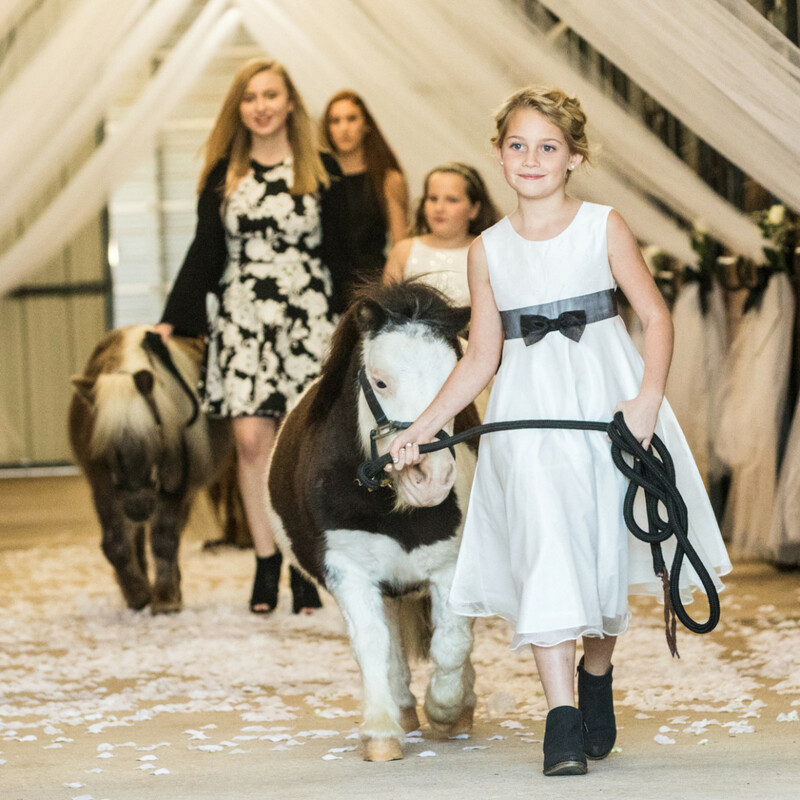 And in a darling touch, the flower girls were escorted down the aisle by miniature horses. 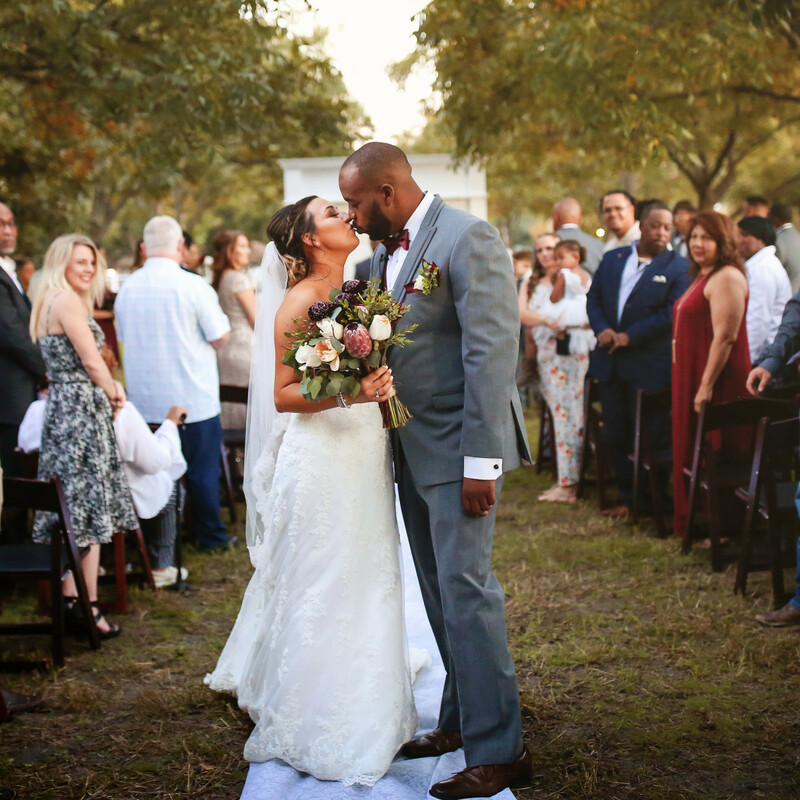 Sometimes more isn't more — a fact embraced by this bride and groom, who decided to forego a glitzy event in favor of an intimate backyard wedding. 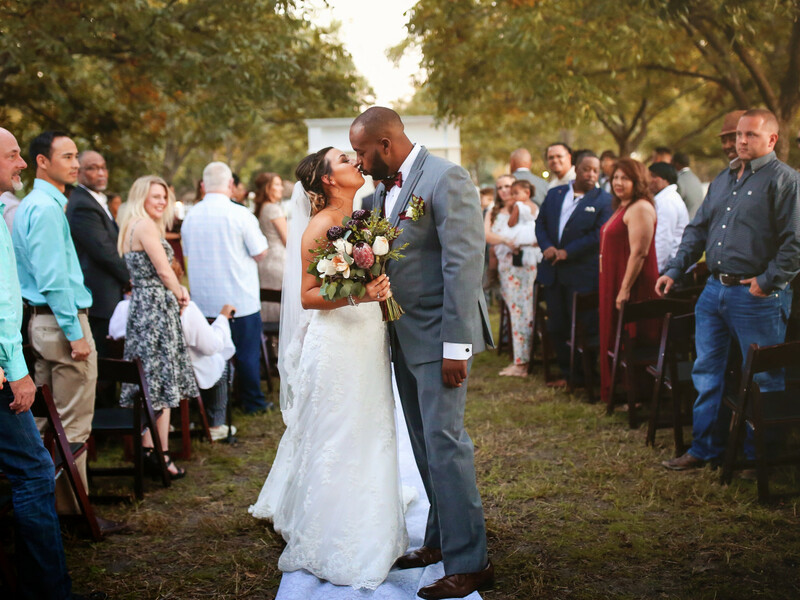 The couple hosted the wedding in the backyard of their home outside of Dallas, relying on help from family and friends with the finishing touches. 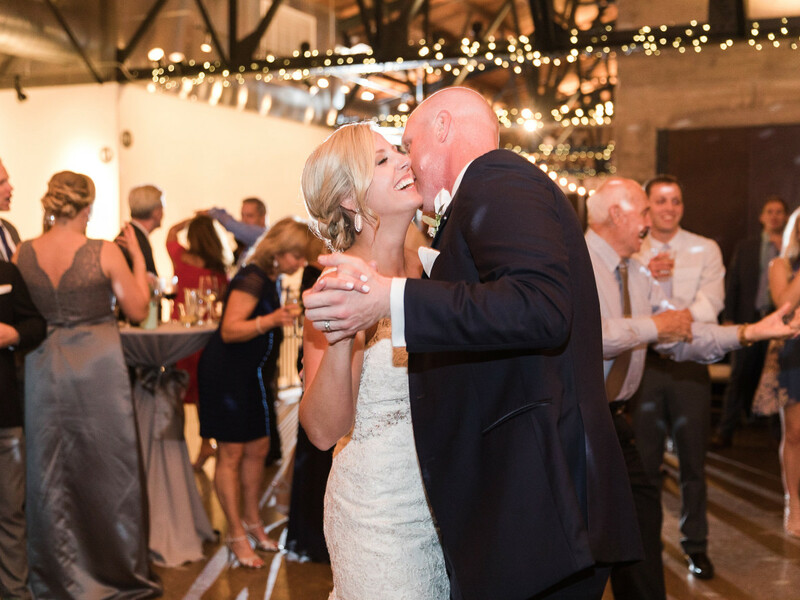 The result, says the bride, was a "perfectly imperfect" day that guests are still raving about. When the groom is in the restaurant biz, the food had better be on point. 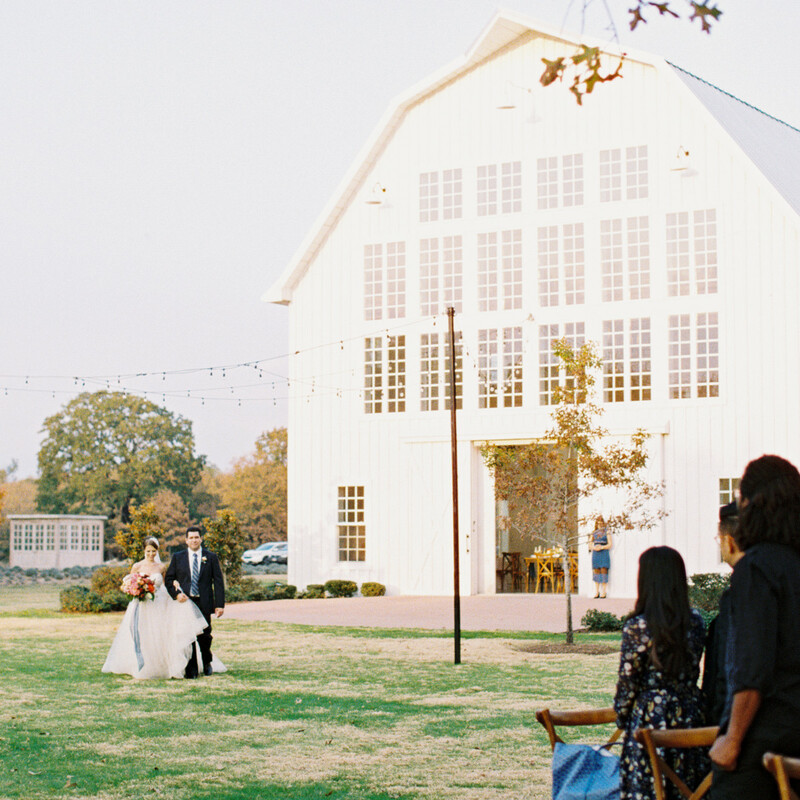 This couple hit it out of the park with their industrial-chic fall wedding. The reception featured heaps of Texas barbecue from Slow Bone BBQ, where Scott is a chef. While barbecue isn't fancy wedding food, it was the perfect culinary choice for this couple and their guests, who swooned about the food long after the cake had been cut. 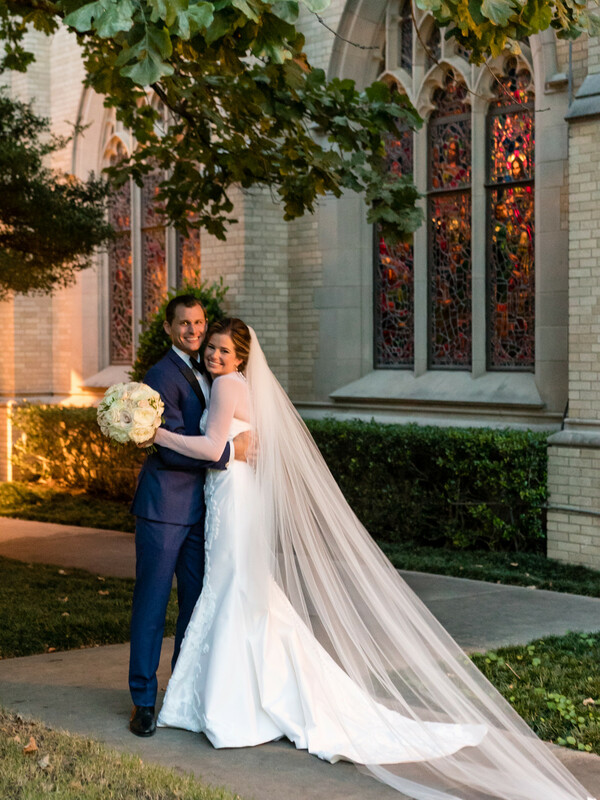 These Dallas physicians sought to pay homage to their respective cultures, so they planned a multicultural wedding with two ceremonies. 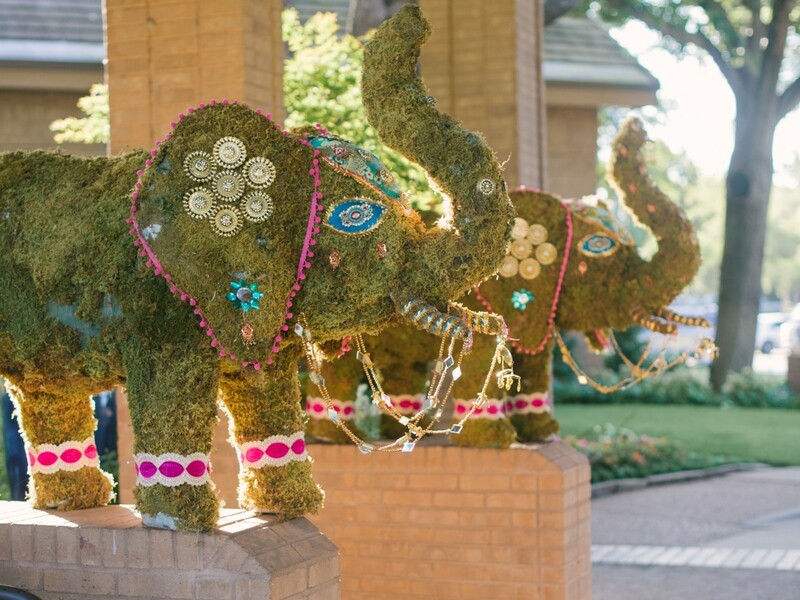 Their Hindu and Christian nuptials incorporated unique details at every turn, including colorful decor featuring an elephant theme. 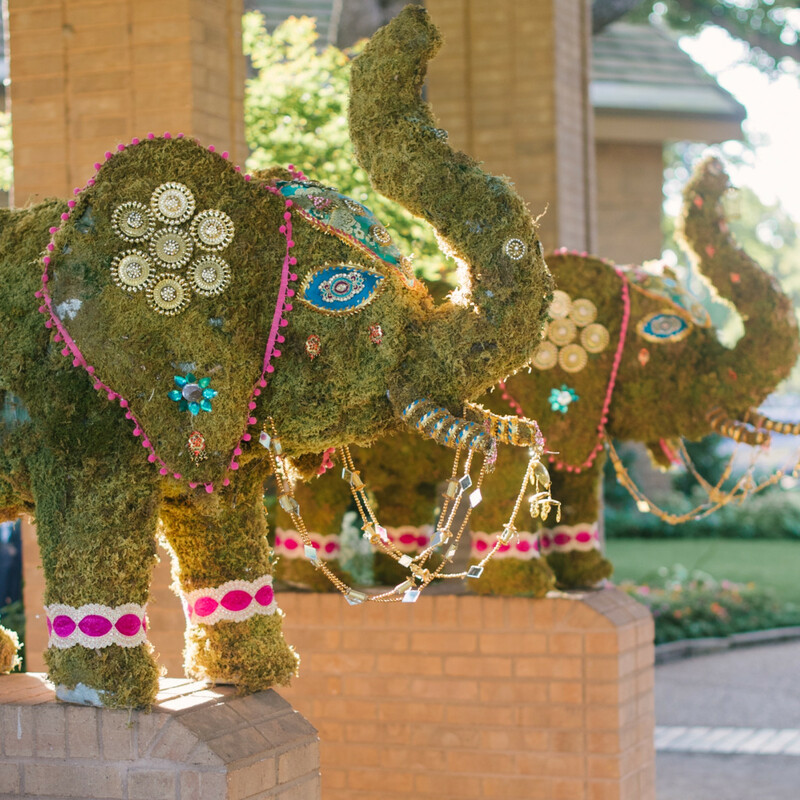 From ornate centerpieces to elephant-shaped shrubs, the reception was chock full of beautiful decor with cultural significance. 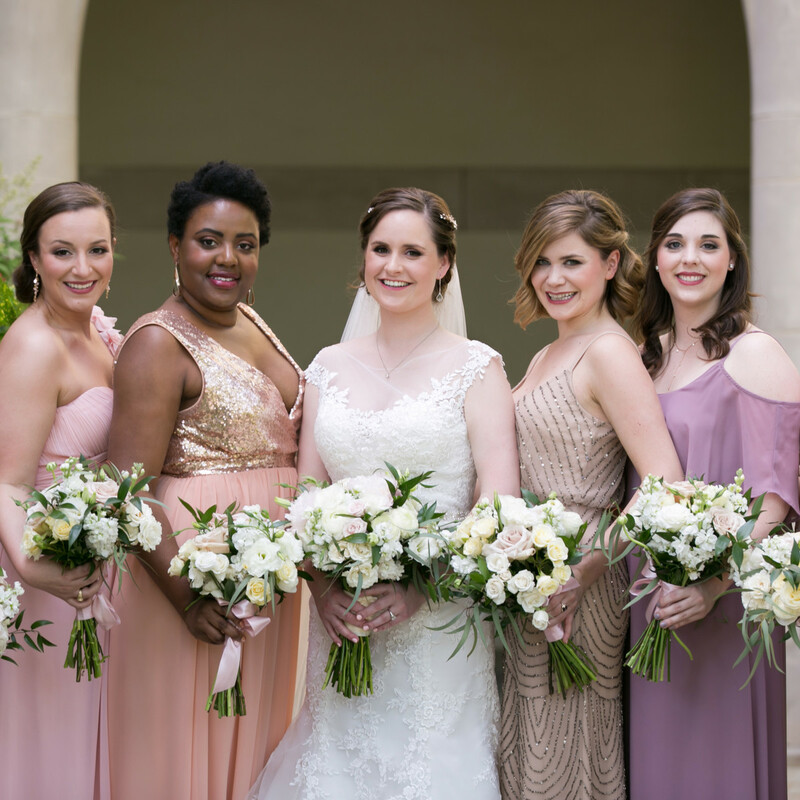 While the world was watching Meghan and Harry say I do on May 19, 2018, these Dallas high-school sweethearts were tying the knot with their very own sparkling celebration. From towering flower arrangements to a multi-tiered cake, every detail was fit for royalty. 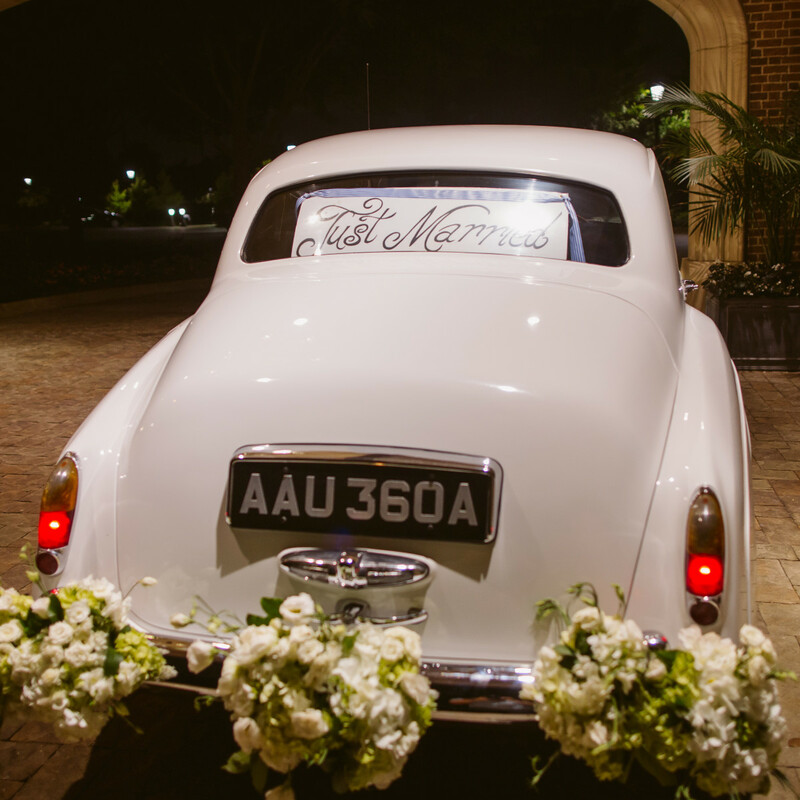 Their exit in a classic car adorned with bouquets and a Just Married sign was one of the most memorable details — and the perfect way to kick-off a luxurious two-week honeymoon.